Between increased air access, the ease of getting around and visitor arrivals from Canada growing to 203,000 last year, there are many reasons for agents to sell Ireland, but Debbie Moran, trade engagement advisor for Failte Ireland can add to the list. As a means of attracting more travellers, she says the tourism development authority frequently reinvigorates Ireland’s offer as a holiday destination. 1) The Wild Atlantic Way, the longest defined coastal touring route in the world, stretching 2,500 km. The route is broken down into six zones with 188 marked discovery points – photo opportunities where clients can take a shot to post on social media. In each spot, travellers can also collect stamps in a Wild Atlantic Way passport, either at the local tourism or post office, available for 10 euro. 2) Ireland’s Ancient East, which features 5,000 years of Ireland’s history across must-see attractions such as Glendalough, Newgrange, and the Rock of Cashel. To encourage visitors to discover the region, she says main attractions along the path feature Ireland’s Ancient East signage, not only to orientate people, but also to showcase what else there is to do nearby. 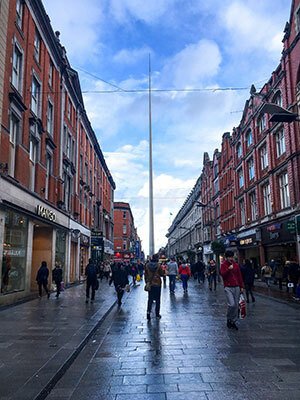 3) Dublin: A Breath of Fresh Air, geared at getting visitors to take in the coastal areas and attractions along the capital city such as cycling in the soaring Dublin mountains or going for a dip at the famous 40 Foot, a bathing area beside Sandycove Beach. 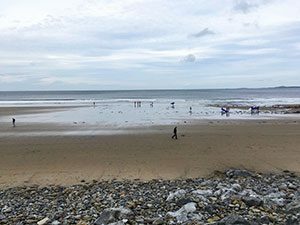 “Dublin is very popular at the minute and is very, very busy, but a lot of people are coming right into the city centre and ignoring the beautiful coastal towns along Dublin city such as Malahide, Dún Laoghaire, Sandymount,” she says. 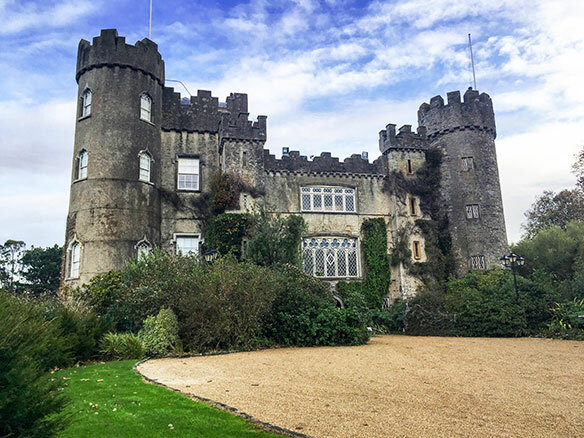 A few weeks ago, Travel Courier joined a group of 18 Canadian agents and tour operators for an eight-day FAM to experience the brand attributes and some of Ireland’s unique tourism offers, alongside Tourism Ireland in Canada, Failte Ireland and Tourism Northern Ireland. Along with visiting the capital city and popular attractions like the Guinness Storehouse and Titanic Belfast, the journey showcased some more off-the-beaten-path destinations and things to do, which agents can utilize to help increase their Ireland bookings, says Jonathan Sargeant, trade promotions and e-marketing executive at Tourism Ireland. For Darlene St. Louis, UK product manager/air dept. manager at Senior Discovery Tours, the best parts of the trip were the authentic experiences like having a homemade meal and taking part in a soda bread-making demonstration by Fred the Baker at the home of Tracey Jeffrey of NI Food Tours, and learning about the process of making gin at the Listoke Distillery & Gin School, where the group got to distill their own blend of gin and enjoy some Listoke 1777 gin and tonics. Both ventures can be booked for clients. As the FAM marked his first return to Ireland in over 40 years, Eric Moe, special projects and student group travel manager at Carlson Wagonlit Victor Travel/Victours, counts seeing Belfast and Derry-Londonderry, and the Giant’s Causeway, which features 40,000 interlocking basalt columns, the result of an ancient volcanic eruption 60 million years ago, as the highlights of the FAM. 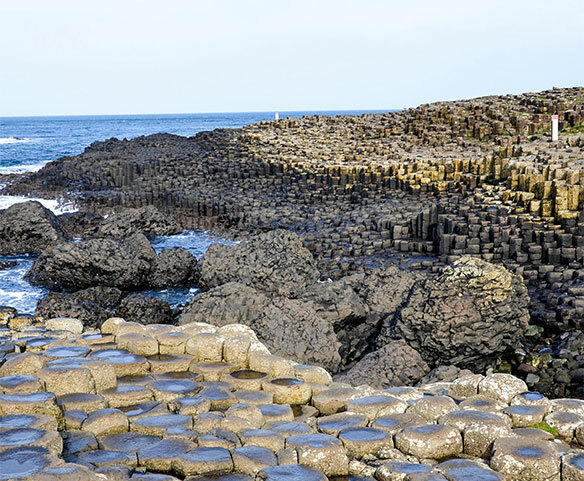 For Shelly Monroe, Personal Travel Consultant at Sweet Escapes Travel – TPI, learning about the tourism offer in Northern Ireland was her favourite part of the journey. One way to learn more about the history of Derry-Londonderry is to embark on a walking tour with Martin McCrossan City Tours, a company that has taken the likes of Will Ferrell on a tour of the city’s political murals. In addition to discovering how amazing the food is, how genuinely nice the people are and how easy it is to get around, Carla Wilson of Custom Travel Solutions, Calgary says Arranmore Island (pictured on the cover) and Glenveagh Castle really stood out. As for Karen Pearson from The Great Canadian Travel Company Ltd. in Winnipeg, taking part in the Winterfell Game of Thrones Experience at Castle Ward was a highlight. The series has had a tremendous impact on growing tourism to the region. “It was a lot of fun, and I also think it was a great ice breaker for our group,” she notes. Similarly, Marie-Eve Derouin, product manager, Mediterranean and Europe destinations at Exotik Tours/TravelBrands, also enjoyed Belfast and seeing the city’s murals, among many other aspects of the FAM. 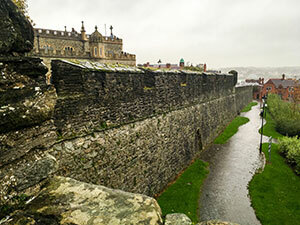 Air Canada, Air Transat, ASL, WestJet, and Aer Lingus connect Canadians with the Emerald Isle. June 2018 will see the launch of new non-stop, seasonal Air Canada Toronto-Shannon and Montreal-Dublin routes. As of Oct. 29, the existing Toronto-Dublin service transferred to Air Canada mainline from Air Canada Rouge, with increased frequencies this winter, daily next summer. Seasonal Vancouver-Dublin service also resumes next summer with an increase in weekly frequencies to five, up from three. 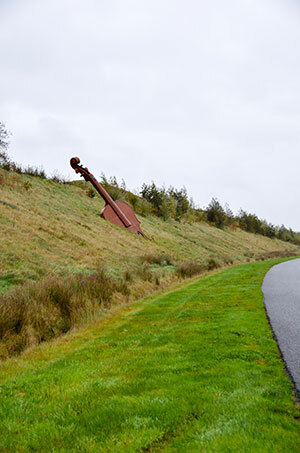 Music is BIG in Ireland! Jonathan Sargeant, trade promotions and e-marketing executive at Tourism Ireland, provides some top tips on how agents can increase their bookings to the Emerald Isle. Encourage clients to get off the beaten track – travel west, north and south from Dublin – there really is a great product offering throughout the island nowadays, and the lesser-known destinations offer excellent value, as well as superb product experiences. Focus on food – food tourism is a new phenomenon in Ireland. We have an incredible food and drink offering, and it’s something that was perhaps not considered by Canadians 10-15 years ago. There’s a new restaurant or distillery opening almost every week. Gin has really taken off. Sell the Ps – Place – we are a country full of breathtaking scenery, a fascinating culture and unforgettable experience. Proximity – many people don’t realize just how close we are to Ireland. Fly direct in 6.5 hours from Toronto and Montreal, and four hours from Eastern Canada. We also have direct flights from Vancouver, which is only a nine-hour flight. People are what make Ireland such a special destination. Meet friendly locals in every town, chat to them in the pub, or at a traditional Irish music session. After participating in the FAM, agents share tips for other travel advisors to increase their Ireland bookings.